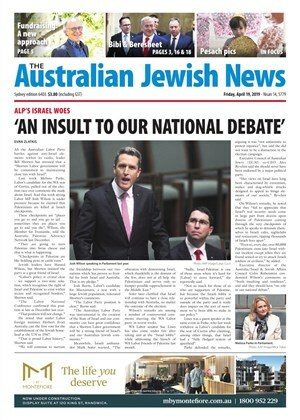 AS the Australian Labor Party battles against anti-Israel elements within its ranks, leader Bill Shorten has stressed that a “Shorten Labor government will be committed to maintaining close ties with Israel”. 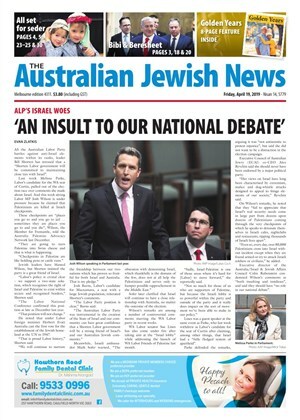 WESTERN Australia Labor will consider a motion condemning the wave of stabbing attacks against Israeli civilians and Palestinian Authority incitement next week. SHADOW attorney-general Mark Dreyfus said that whatever the grievances of the Palestinians, “indiscriminate murder will never be a legitimate form of political protest” when he spoke in Parliament last week. FEDERAL Labor MP Melissa Parke needs to be “pulled into line” after she signed a petition calling on the United Nations Security Council to place sanctions on Israel, the Executive Council of Australian Jewry (ECAJ) says. WESTERN Australian Senator Glenn Sterle has delivered a stinging rebuke to fellow WA Labor parliamentarian Melissa Parke over her support for the Boycott, Divestment and Sanctions campaign. SPEAKING in State Parliament on August 5, Caulfield MP David Southwick slammed a letter so far signed by 68 Labor and Greens politicians that has called on Israel to end its Gaza operation. COMMUNAL leaders have blasted a letter signed by over 40 Australian politicians, calling for Israel to end its operation in Gaza, as one-sided. SHADOW foreign affairs spokesperson Tanya Plibersek has condemned Hamas for rejecting the ceasefire deal with Israel, in contrast to her Labor colleague, Fremantle MP Melissa Parke, who this week accused Israel of committing war crimes.